Dr. Akhavan opened the doors to her Chula Vista orthodontic office in 2001, and is proud to be a part of the local community. She has treated thousands of happy and satisfied patients over the past 12 years and her office continues to grow because of the great smiles she has helped to create! Dr. Akhavan attended Dental School at USC and is a Trojan through and through! As a dedicated and hard-working student, she graduated number 6 in her class of 120 students and was immediately accepted into the 3-year Orthodontic residency, also at USC. After three years of hard work, she earned her Masters degree in Cranio-facial Biology as well as a specialty certificate in Orthodontics. During her residency, Dr Akhavan was involved with treatment outcomes research and was published in the Journal of Clinical Orthodontics (JCO) for her contributions. Dr. Akhavan is active in following dental societies: the ADA, the CDA, Women’s Dental Association, PSCO and the SD County Dental Society. Her top priority is to provide the highest quality orthodontic care possible, delivered in a caring and friendly environment. In her leisure time, Dr. Akhaven enjoys hanging out with family, especially all her nieces and nephews, and walking on the beach! Her hobbies include Yoga, hiking, painting, reading, and traveling. 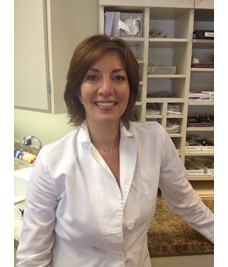 Dr. Akhavan’s vision has always been to have an office that she herself would want to go to. We care for all our patients like they are family. We have a state of the art office with paperless and digital technology which allows Dr Akhavan to stay on top of all the details of treatment. She examines every patients at every visit and ensures an efficient treatment process. We provide great service and we are always available to answer any questions for our patients. Dr. Akhavan and her staff are continuously taking continuing education classes and seminars and staying on top of the latest technologies and advancement in orthodontics. What this means for you as a patient is: a shorter, and more comfortable treatment with the best results possible. Our practice has grown over the years with our strong patient referrals and we enjoy seeing families bring in other brothers and sisters for treatment.